Can I Cancel My Contract With A Debt Settlement Company? 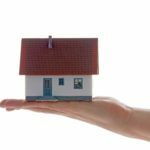 Home Debt Settlement Can I Cancel My Contract With A Debt Settlement Company? More and more frequently, we are finding that some debtors with whom we meet, have already hired a debt settlement company to attempt to resolve their debt issues, prior to coming in to meet with us. 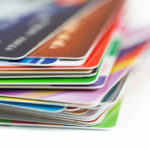 The debt settlement companies advertise that they can settle with credit card companies for a fraction of the debt by negotiating a lump-sum payment or “settlement” for less than the balance. They advise debtors to stop making payments to all the creditors with which they wish to settle with (which puts them into delinquent status) and instead pay an agreed upon sum into an escrow account every month in order to build up the necessary funds to pay the settlements. These plans typically take 36 to 48 months and during that time, creditors will keep charging late fees and interest. The balances of the accounts included in a debt settlement plan can double or even triple before they are settled. Creditors may put these accounts into collection and debtors can face collection lawsuits. Most debt settlement plan do not make it to completion and leave debtors in worse shape financially than before they entered the plan. The Federal Trade Commission (FTC), the nation’s consumer protection agency, has issued a rule that regulates debt settlement companies. It is called the Telemarketing Sales Rule or TSR (16 C.F.R. Part 310). 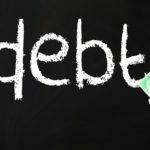 The TSR covers calls that debt settlement companies make in marketing their services and also calls made by potential customers to them including calls potential customers make in response to advertisements that they have placed on television, radio, the Internet, as well as most direct mail promotions. The debtor owns the funds held in their escrow account and they may withdraw from the debt relief service at any time without penalty. The debtor must receive all funds in the account, other than those funds actually earned by the debt settlement company. When a debtor consults with us and asks if they can cancel their contracts with a debt settlement company, we advise them that they can and recommend that they do so immediately. We also make sure to inform them that the money that has been paid into a settlement account is theirs and they should request that money be refunded to them minus any fees that the debt settlement company legally earned. If the client has authorized the debt settlement company to withdraw money from their bank account, we recommend that they contact their bank right away and let them know that they are canceling the agreement. If they are worried that the drafts might continue, then we advise that they should also close the bank account and open a new one that the debt settlement company will not be able to access. If for some reason, the debt settlement company does not return the money that is being held in escrow, the debtor’s rights to sue to recover those funds and may be limited by an arbitration clause in the debt settlement contract. When the Supreme Court ruled in AT&T Mobility v. Concepcion 563 U.S. 333 (2011) that the Federal Arbitration Act did not allow state courts to nullify arbitration clauses in consumer cases even if those courts considered them “unconscionable,” they severely limited consumers ability to get their day in Court. However, they can still file a complaint with the New York Attorney General’s Office, which could help pressure the company into issuing a proper refund. Typically, when facing financial difficulty, the best way to obtain a true financial fresh start is to file for bankruptcy. The results that a debtor receives from their bankruptcy filing is generally more favorable than the consequences of debt settlement. If you have any questions about debt settlement or bankruptcy in New York, please contact the Law Offices of David I Pankin at 888-529-9600 or by using our easy online contact form. New Means Test Figures Effective After November 1, 2018What Happens If I Don’t Make My Car Or Mortgage Payments After I File for Bankruptcy? 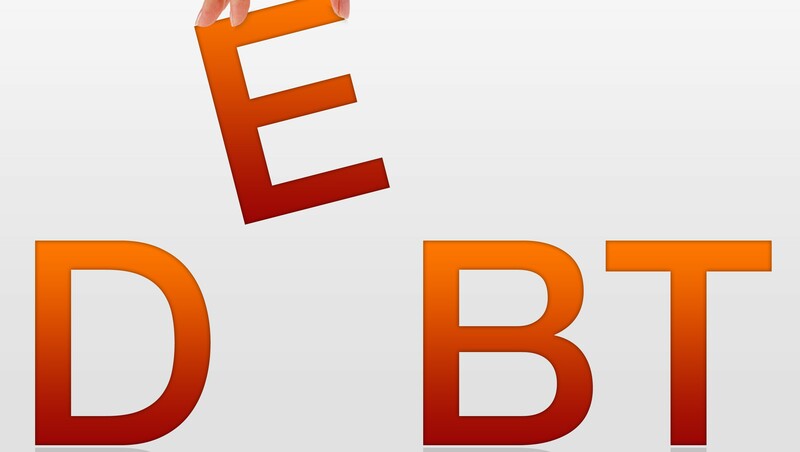 What Is Worse For Your Credit – Bankruptcy vs Debt Settlement? Do I Have To Take The Credit Counselling Course Before I File A Bankruptcy Petition? 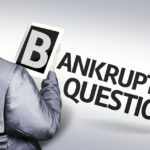 How Will Bankruptcy Affect My Job? 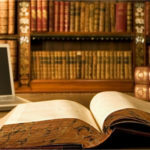 Can I Withdraw My Chapter 7 Bankruptcy Case? I consulted with Mr. Pankin after hiring a debt consolidation attorney who took my money but did nothing to help me solve my debt problems. I had also consulted with a bankruptcy attorney in Manhattan previously who said I didn’t qualify for Chapter 7. I found in David Pankin, a refreshingly honest person, who consulted with me, and took as much time as needed to find out about my situation and whether he could even help me. After the initial consultation, Mr. Pankin called me a day or two later to say he could help me. I can’t say how despondent I was prior to contacting David; but after he called me and told me he could help me, I felt like a giant weight had been lifted off of my shoulders. I can’t say enough about David and how he helped me solve my debt crisis. I would recommend David’s firm in a heartbeat to anyone who’s in a financial quagmire and doesn’t know where to turn. David pretty much returned my sanity and gave me a second chance at living!! My experience with the Law Office of David I. Pankin was outstanding. Bankruptcy to me was a very scary and unexpected thing to go through. I had no idea where or how to start and how everything would end. Everyone in that office from Mr. Pankin down was more helpful than I would have ever expected. I was a client with a list of questions that I’m sure was longer than most, but none went unanswered. They made me feel comfortable in a tough time, confident that I was going to be ok, and most importantly knowledgeable about every step that we went through along the way. I say the most important thing was the knowledge that Mr. Pankin and everyone in his office gave me because when I came to them with questions they didn’t just answer them by telling me things will be fine, they told me why they will be fine and the steps that would take place to answer and solve each of my concerns. I would recommend the Law Office of David I. Pankin to anyone including friends and family. Bankruptcy is not a fun situation to go through, but with the help of Mr. Pankin and his office, you will get the care, knowledge, and support to feel confident and comfortable throughout the entire process. Thank you to Mr. Pankin and your entire staff. The day I went for my initial interview, I was so nervous. After speaking with Robert, I felt comfortable and confident choosing David I Pankin, PC to represent me. They took the time to make sure all my questions and concerns were addressed. On the day I had to appear in court, Roger was there to support and counsel me and Zaira made sure I was well prepared for my court date. I wouldn’t hesitate recommending these knowledgeable, professional and courteous individuals to my friends and family. From beginning to end, over the course of many months, my experience with David Pankin and his courteous staff, including Robert Reich, was excellent. I received expert, professional advice; and I was always pointed in the right direction. The final outcome of my case – which was most satisfactory – was exactly what I was told it would be. Many thanks are in order for a job well done. I highly recommend the Law Offices of David I Pankin, P.C. I am extremely pleased with the work this law office did for my family. I was in a situation where time and execution was everything and Mr. Pankin’s office and all of the staff made it happen . I recommend their service to anyone needing results in a timely manner. Simply excellent. Thank you all. The Law Offices of David I. Pankin, P.C. provides bankruptcy, foreclosure and loan modification representation to clients throughout the New York area in boroughs that include Manhattan, Brooklyn, Long Island, Queens, Bronx and Staten Island. This website is a Legal Advertisement. We are a debt relief agency. We help people file for bankruptcy relief under the bankruptcy code. The information on this website is for general information purposes only. Nothing on this site should be taken as legal advice for any individual case or situation. 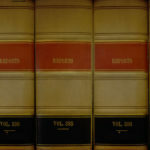 This information is not intended to create, and receipt or viewing does not constitute an attorney client relationship.